Emerging research has indicated physiological differences after consumption of a protein-rich breakfast. 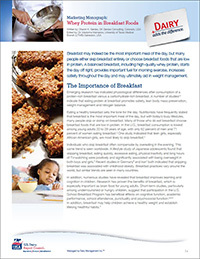 This 12-page report highlights the role of whey protein in the "most important meal of the day." Also available for free download in Japanese | Korean.